The construction of the mosque which was built for Mehmet b. İbrahim es- Said in 1505 continued six months. The name of the benefactor is mentioned on a plate in the garden (Hadika) as Janissary Master Mehmet Said b. İbrahim. The same source also indicates that Mehmet Said b. İbrahim was one of the trustees of Bayazid Mosque and had this mosque built out of the debris of Dizdariye Mosque. 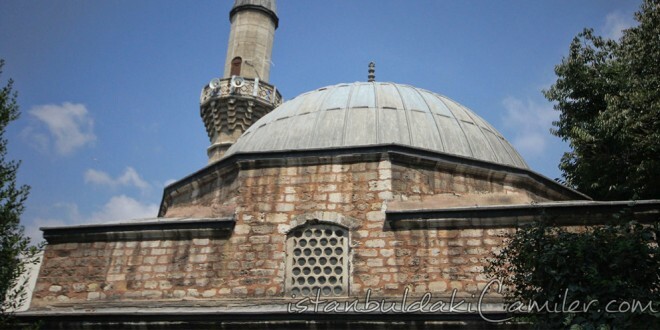 Dizdariye Mosque has a square design with the dimensions of 8.75 x 8.75 metres and it was built out of rough face stones. Its single dome rests over the 12-edged rim. The spandrels of dome are in trompe and their lassels are in baroque style. Minbar is made of wood and it’s respectively new and painted. The balcony of its single minaret is nice with stalactites and can be accessed from inside. It was renovated in 1898 by the orders of Sultan Abdulhamid II.